Health insurance plans are extremely important for everyone. Without quality health care plans, individuals are at risk of not only coming down with serious health ailments, but also of getting into major financial trouble because they can’t afford quality care. Of course, in the ongoing war for talent, high quality health care benefits are essential, which is why so many companies prioritize health care plans for their workers. 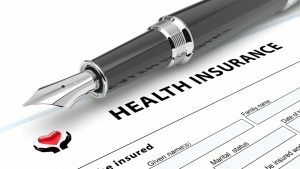 However, there are some significant changes coming to health care insurance industry, causing many health care officials, insurance companies, and millions of Americans to anxiously await 2018. In fact, this uncertainty is one of the only constants in the industry. As 2017 draws to a close, we’re in the same situation we were in in December 2016 — waiting to see what happens next. What changes will we see to the health care insurance industry in 2018? As of Christmas 2017, President Trump and congressional Republicans have successfully repealed the individual mandate created by the Affordable Care Act, also known as Obamacare. The controversial individual mandate required all individuals to purchase health insurance, either through their job, from the individual market, or through a government program like Medicare. While Obamacare is still the law of the land, the individual mandate was the foundation of the law, and it’s impossible to know how the health care industry will fare now that it has been repealed. Once again, uncertainty levels are high. However, there are some things we do know about health insurance plans in 2018. While the repeal of the individual mandate will likely affect anyone who purchases insurance on the state exchanges, the employee-provided health insurance market should be much more stable. According to NPR, health insurance premiums have increased for many 2018 policies, though the majority of people won’t notice those immediate cost increases because subsidies have also risen accordingly. While there could be big changes in store in 2019 and beyond, insurance companies have set their rates for the new year already. Over the long term, it will be difficult for anyone to predict what will happen with the average American’s health insurance plans, especially as the elderly population continues to rise — and rise rapidly. By the year 2050, it’s expected that elderly Americans aged 65 years old or older will total around 89 million, which is more than double the amount of senior citizens in the U.S. in 2010. According to The Motley Fool, there are four things that every American should know about his or her health insurance policy as these major changes come about. Pay attention to all healthcare expenses — Monthly premiums are one thing, but there are plenty of additional expenses that you need to be aware of when it comes to healthcare. Keep an eye out for everything. Know what prescriptions will be covered — Unfortunately, there are some prescriptions that aren’t covered by most plans, no matter how necessary they are. You should check your plan’s formulary before committing to ensure that your prescriptions are covered at a reasonable price. What’s going on within the healthcare provider network — As these changes occur from year to year, it’s essential that you’re staying in the know. Be sure to do plenty of research and stay in regular contact with your insurance provider. How your plan is rated — Always take a look at your plan’s ratings to see what other people have said about it or if you can find a better option at that price point. If you want to learn more about health insurance plans, whether that’s standard employee health insurance plans or supplemental insurance plans, contact an experienced and knowledgeable insurance company — speak with Midwest Employee Benefits today.